Vladimir Putin has warned of a new arms race, saying that if the US starts developing banned intermediate-range missiles, so will Moscow. The Russian President said the Kremlin will respond in kind if America walks out of a key Cold War-era arms treaty. 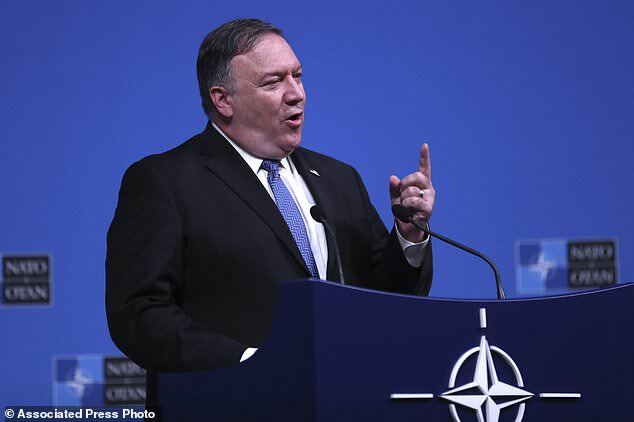 It come after U.S. Secretary of State Mike Pompeo announced Washington will suspend its obligations under the Intermediate-Range Nuclear Forces Treaty (INF) in 60 days, citing Russian ‘cheating.’ Russia has denied that it has been violating the treaty. Putin said on Wednesday that the US decision to ditch the INF means Washington has decided the US ‘has to have these weapons’. He said of Moscow’s response: ‘We will do the same. The bilateral treaty between Washington and Moscow banned all land-based cruise and ballistic missiles with a range between 310-3,410 miles. Russia says the range of the new system does not exceed 310 miles. 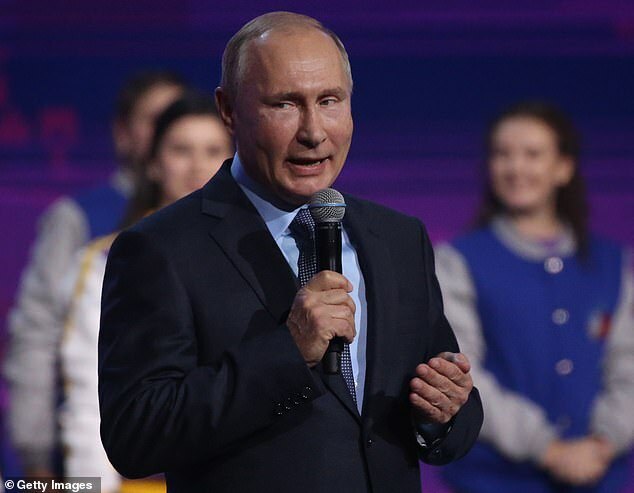 Mr Putin accused Washington of making up excuses for pulling out of the pact, saying the US first made up its mind to walk out and only then ‘started to look for the reasons why they should do it’. ‘The INF treaty is of great significance for security in Europe,’ government spokeswoman Ulrike Demmer said in Berlin. ‘The German government welcomes the fact that the American government is giving its preservation another chance,’ she added, referring to the 60-day deadline. She also noted that the issue came up in a meeting between Chancellor Angela Merkel and Mr Trump in Argentina on Saturday. ‘It is now up to Russia to avert the end of the treaty,’ Ms Demmer said.